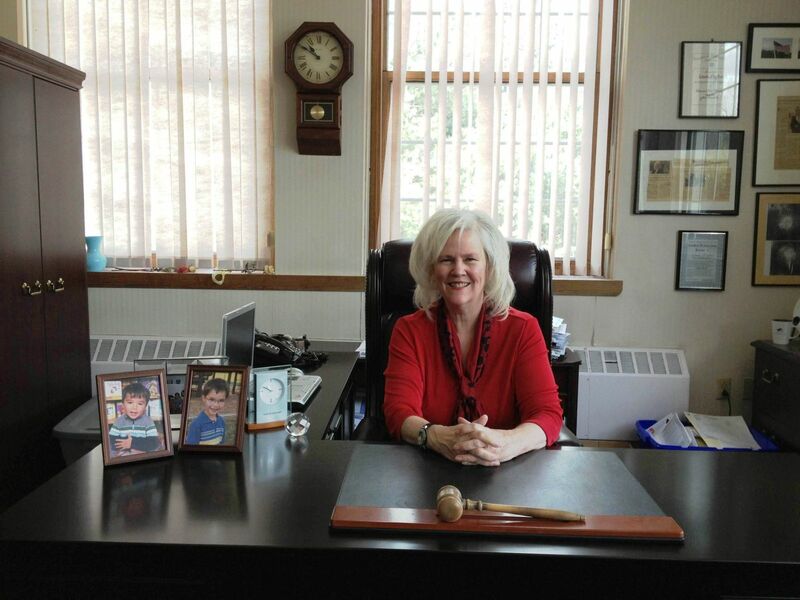 Linda Puglisi has been Supervisor of the Town of Cortlandt for twenty-eight years. She is the longest serving Supervisor in the Town’s history and is serving her fourteenth term. She also served for four years as a Town Council member (1988-1991). During her tenure, Supervisor Puglisi has had many accomplishments in office. One of her most important achievements has been controlling town taxes and costs. During her tenure there has been only a 1% town total tax increase, on average, over the twenty-eight years and a balanced budget with a surplus every year and never a deficit. She has been a leader in sharing services to reduce costs, as well (i.e. Northern Westchester Joint Water Works, Northern Coalition for recycling, a police plan with the State and County Police Departments, etc.). Although tax and cost controls have been at the centerpiece of her administration, Supervisor Puglisi has been able to promote and fund a variety of other projects to benefit the citizens of the Town. These include the Town Hall renovation in 1992, establishment of a new joint waterworks facility to filter our water, construction of two outdoor skating parks, expansion of the Senior Citizen/Community Center, a major Town pool renovation and the opening of the Youth Center in 2009, located next to the Cortlandt Train Station. She also has supported other infrastructure projects, establishment of the Steamboat River Park and the Cortlandt Waterfront Park, expansion of the Town sidewalks network, new traffic signals and road pavement projects. The Town opened a “Dog Park” at Sprout Brook Park in 2008, which is a big hit in the community and completed an important improvement at Lafayette Ave. /Rte. 202/Conklin Avenue in 2013 paid for by the State D.O.T. Also, Linda Puglisi with others lobbied the New York State DOT to make safety improvements on the Bear Mountain Parkway. There was a dedication of Meahagh Park with an outdoor basketball court and a wonderful outdoor Summer Concert and Movie Series starting in 2015 along the Hudson River. In 2016 the Town dedicated a new lacrosse/all purpose field, a water spray park at the Town pool and a new hiking trail by the Hollow Brook Golf Course. In 2018 the town opened a 1/2 mile Fitness/Nature Trail behind the Town pool. Supervisor Puglisi has also played a critical role in attracting large-scale projects and initiatives to the Town that have helped to improve the quality of life for our residents. For example, under her leadership, Metro-North established a new train station in the Town of Cortlandt which opened in 2000 and phase II in 2012. She was also supportive of the establishment of the Cortlandt Town Center and Hollow Brook Golf Course, as well as, the expansion of the New York Presbyterian Hudson Valley Hospital Center, which have brought many new jobs to the Town. Furthermore, many new playgrounds, softball fields, a new lacrosse field and other recreational facilities have been built and upgraded during her administration and she continues to support beautification initiatives throughout the Town. Supervisor Puglisi was also a strong advocate and early supporter of the establishment in the Town of the Emergency 911 and Advanced Life Support (ALS) programs in the mid 1990’s and serves on the ALS executive board. Supervisor Linda Puglisi has been and continues to be a strong advocate for protecting the Town’s environment. During her administration, the Town has increased it’s open space by 107% (3,200 acres). The largest parcel to be acquired as part of her open space initiatives is the 352 acres at Hill point. Linda Puglisi, working in conjunction with the Town’s Open Space Committee, continues to look for further opportunities to maintain the Town’s open space. Other initiatives by Supervisor Puglisi include strengthening of the Town’s environmental laws. Recently she supported saving an important fifty acre lake and watershed (Furnace Dock Lake) from being drained. This was a 100 year old lake and needed to be preserved. It now is owned by the Town of Cortlandt. A new Master Plan, completed in 2015 is currently being implemented. In 2016, the Town purchased 100 acres from Con Edison adjacent to the Hudson River in Verplanck and recently preserved 104 acres of the Abee Rose area off Maple Avenue. Linda Puglisi is also strongly committed to assisting and honoring the many Veterans in the Town. She works tirelessly on issues for the Town’s Veterans and sponsors many events honoring them as well as saving the V.A. healthcare system (hospital) from being downsized. It is critical to maintain needed services at the V.A. for past, present and future Veterans. A new Veterans Park was constructed for all of our Veterans in 2012 at the Cortlandt Waterfront Park in the Verplanck section of Cortlandt and the first Purple Heart Veterans memorial was dedicated in 2014 at Town Hall in Westchester County. In 2017 a Vietnam War memorial was dedicated at Town Hall. She has also had the vision to react to the changing world that we live in. For example, Cortlandt is a charter member of Sustainable Westchester, which works on energy conservation issues and is now a member of Sustainable Westchester and has been a partner on many solar energy initiatives. The Town's newly adopted Sustainable Envision Master Plan won in 2016, two prestigious awards from New York and the Westchester Planning Federation. History is very important to Linda Puglisi and she is proud of the Historic Tollhouse by the Bear Mountain Bridge and the preservation of Aaron Copland's homestead. A Historic Advisory Council was recently established with several dedicated volunteers. Under Supervisor Puglisi’s leadership, the Town has and continues to prosper economically. Small businesses, as well as, larger national stores, call the Town of Cortlandt home. She is strongly committed to continuing to sponsor initiatives to help the Town’s economy grow and prosper. Each year she sponsors a “Shop Cortlandt” and “Do Business in Cortlandt” effort along with civic organizations. A new shopping mall area opened off Cortlandt Boulevard named "Cortlandt Crossing". The town recently retained an Economic Development Consultant to bring in more businesses/industry in the proper locations. Linda Puglisi is also the proud mother of twins, Allison and Jeffrey, who were raised in the Town of Cortlandt. Allison is an attorney practicing law in New York City (married to Tom) and Jeffrey is a doctor in Connecticut (and is married to Oonagh). Linda is also the very proud grandmother of her two grandsons, Oliver and Jeremy (the sons of her daughter, Allison and son-in-law, Tom.) They are excellent students and are involved in many activities, including tennis and musical performances. “The Town of Cortlandt is a family oriented community with wonderful volunteers who provide important services to our residents. We are always working hard to come up with new ideas that will continue to improve the quality of life in the Town of Cortlandt. It is my honor and privilege to serve as the Supervisor of the Town of Cortlandt. Thank you", states Linda Puglisi.